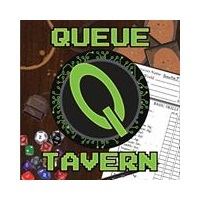 Im a Fan of The Queue Tavern... Are you? Fill in the below form and you can recommend ‘The Queue Tavern’ to a friend or family member via a text message. Show your support with a quick share of ‘The Queue Tavern’. It’s a great place to get a drink and be a nerd! The giant squishy couch! The drink specials are great. Staff is great and the televisions play science channel and scyfy! What more could a nerdy girl want? This is the best place on earth, when you need to sit and relax or just have some fun. I enjoy spending time with the employees and the owner. You’re always family when you walk through those door and you never meet a stranger. It doesn’t matter who you are or what you look like you will be greeted with open arms. I love my Queue Tavern. I’ve never been very comfortable in large groups of people especially when I didn’t know most of them, but the queue tavern is a second home to me. he owner and bartender and so incredibly welcoming and friendly. the regular patrons are just as friendly. this place is my favorite place to go to hang our and have an amazing time. This is the only bar I feel comfortable going to alone. It’s more like a family then a business. Drinks are cheap, people are amazing, there are fun games to play, and any night can be Halloween? It doesn’t get any better than that. WHERE DO I BEGIN? Ever since I was first introduced to this place about a year or so ago, I felt like I belonged here. The owner and his staff always greeted me with a smile on their faces. The drinks are amazing, and who doesn’t like the idea of a nerd bar. Great deals through the week, as well as perfect named drinks. great decor along the walls and even through the amount of construction that is going on currently, Chris(owner) doesn’t let it hold him back. It’s a good place to come to with friends. If ya come alone by chance you will leave with friends. Great People! 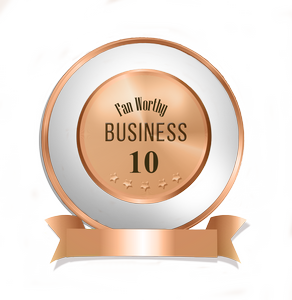 From the Owner to the staff all are friendly & make each visit a fun experience. The atmosphere is unique, fun, & there is always something going on at The Queue! It is a haven for most nerds. With great atmosphere great people and the best customer service you will ever get from a bar here. Some times you just want to go there just to see the staff again. Good company, great atmosphere and staff, great events and baller as hell drinks. The only Geek bar in shreveport bossier and an amazing one at that! Always fun! And such a friendly staff and regulars. This is a great place to hang out & have a drink or six with friends. I love the atmosphere & the folks who own the place are great. It’s all about customer service and having a great time here. I’ve been to each end of Louisiana in the last couple years and I’ve been to various bars and taverns therein. Most of the time I can’t stomach to stay in a place for long enough to even order a drink. The clienteles are using loud, belligerent folks, the service is selective, and the layouts cater towards pool tables and jukeboxes above people. The Queue, however, is my home away from home. The prices aren’t too high, the bargoers are friendly and always willing to discuss something I’m about, the TVs play my favorite movies and channels, and the bartenders are FANTASTIC human beings who will always answer the call of duty at a moment’s notice. By far the best bar I’ve ever set foot in. 11/10. I definitely recommend it! This bar is by far the most welcoming establishment I have ever been in! The bartenders treat you like family and if you’re a new patron, you will be welcomed just as if you were a regular! They have amazing cocktails with cool geeky themes and nearly all the gaming choices you could ask for! !